Air Force leaders are cautioning service members against investing in pot stocks. And experts say they’ve got the right idea. Drug use is a well-known red flag for federal security clearance, as Elon Musk was recently reminded. But, as it turns out, even investing in pot companies can give the Department of Defense pause when granting access to government secrets. An email found circulating on an unofficial Air Force Facebook page details a warning from the Air Force to leaders at a Ellsworth Air Force Base in South Dakota concerning investments in cannabis companies. “Any investment in an activity prohibited under the [The Uniform Code of Military Justice], even ‘passive investment’ through a third-party manager, has the potential to jeopardize a military member’s security clearance,” Lieut. Col. Brett Landry wrote in the email, adding that even investment on behalf of a military member, such as by an investment manager, could jeopardize clearance. A U.S. Air Force spokesperson confirmed the authenticity of the emails. Attorney John Berry, a partner at Berry & Berry, said the judge advocate has the right idea in urging caution, especially when a monetary misstep of this nature could endanger the careers of the roughly 4 million individuals who have security clearance, according to the 2017 Annual Report on Security Clearance Determinations. Berry, who works with clients applying for security clearance or at risk of losing it, said the federal government could evaluate an investment in a marijuana company in a couple of different ways. The National Security Adjudicative Guidelines consider drug involvement ー meaning abuse or possession of a controlled substance, including cultivation, processing, manufacturing, purchasing, sales, or distribution ー a security issue. A more severe interpretation would equate investment in a cannabis company with investment in a criminal enterprise, which is also considered a threat to security under the guidelines, Berry said. So long as cannabis is illegal in the U.S. at the federal level, involvement with that market means running afoul of federal law, even by way of companies operating legally within a state like Colorado or a country, like Canada, that has legalized cannabis. By that logic, hot Canadian cannabis stocks, like Canopy Growth and Aurora Cannabis, are off-limits to federal employees even though the companies do not grow or distribute cannabis within the U.S. Furthermore, foreign investments pose a whole different set of issues for federal employees. The Department of Defense, for its part, has no official policy forbidding cannabis investment, but adheres to federal law and national policy concerning controlled substances when determining security clearance, a DoD spokesperson told Cheddar. “While, currently, no official DoD guidance specific to financial involvement in marijuana exists, the Department continues to research the topic. Any changes will be addressed through normal policy update procedures,” Air Force spokesperson Lt. Col. Audricia Harris said in a statement, adding that the department applies the “whole person concept” when determining a person’s security eligibility. Andrew Bakaj, managing partner of Compass Rose Legal Group, helps clients navigate the intricacies of security clearance. He said the rules are strict because security clearance is a holistic assessment of a person’s trustworthiness. That means a host of variables can impact an individual’s eligibility for security clearance. 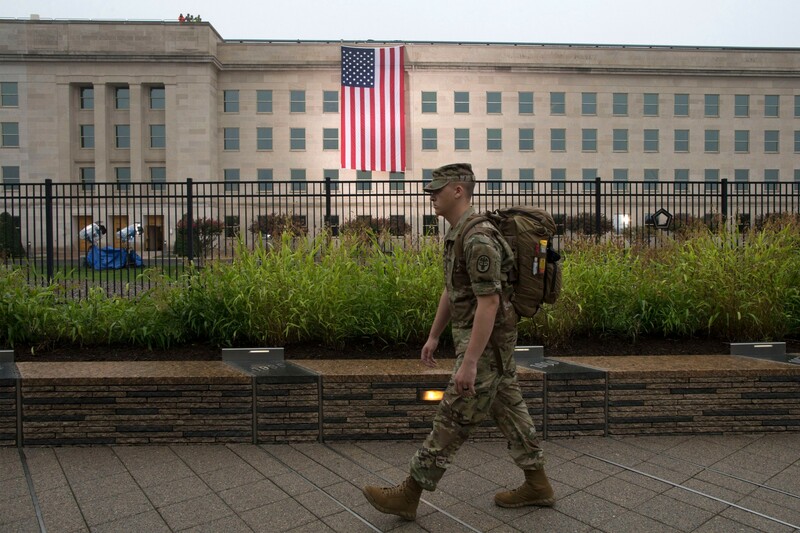 There is no DoD policy prohibiting those with security clearance from having high debt, for example, but in some cases debt can affect a person’s ability to obtain security clearance. Cannabis investing is no different. And the consequences of failing a security clearance assessment are as serious as the questionnaires themselves. For active military or federal contractors whose roles require they have certain levels of clearance, losing it can mean the end of their livelihood. Bakaj said he hasn’t yet fielded any cases in which cannabis investing has threatened security clearance, but he said he gets plenty of calls about cannabis usage. The illegal drug portion of the national security questionnaire, the famous SF86 survey, asks for an applicant’s seven-year history. So even if a candidate for clearance consumed a single cannabis-infused gummy bear three years ago in Colorado (where it’s legal), they might still have a problem. And that means Elon Musk probably has a problem, too. The Tesla and SpaceX CEO is in hot water after he toked during a live stream of comedian Joe Rogan’s podcast, “The Joe Rogan Experience.” Bloomberg reported that the Pentagon was reviewing the secret-level security clearance Musk has as a result of his aerospace and defense company SpaceX. SpaceX won’t likely lose government contracts if Musk loses clearance, Bakaj said, but the DoD might just make an example out of him. Chloe Aiello is a reporter for Cheddar, covering the rapidly evolving cannabis space.